It’s possible to send the group invitation to multiple residents at time now (do the mass invitation to the group). 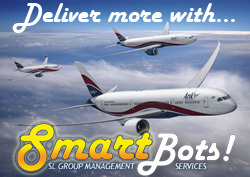 SmartBots Group Inviter service now supports bulk invitations: you specify the list of the residents and we deliver invitations to all of them. We also send the IM to all recipients to explain them why do they get the group invitation (this also helps to stay in touch if they were offline during the delivery). To ensure the spamless nature of the service our editor approves all orders before sending them out.